After three Bloody Mary’s it’s not abnormal for this to happen. Yes that is my little kitty cat and yes we are playing in the snow. This is what happens when we have a dinner party on a snowy night in Big Bear. 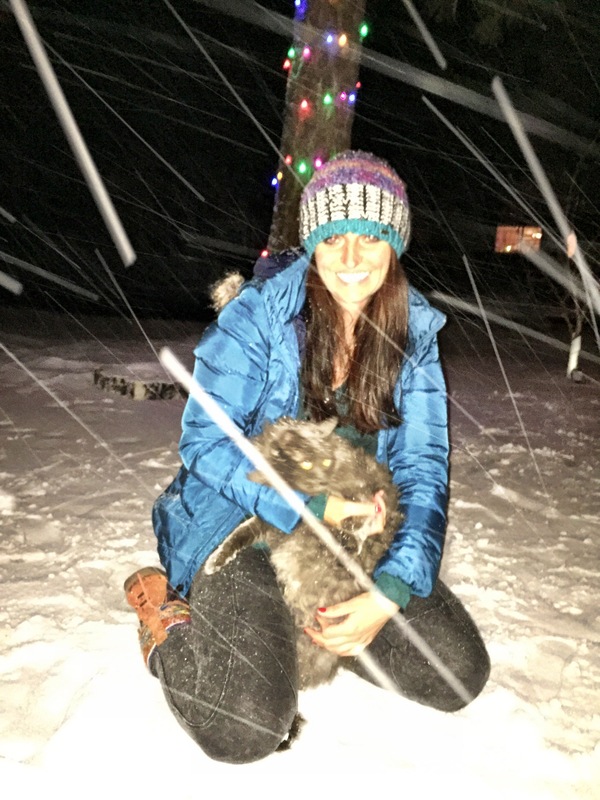 Yes, this is life in a resort town; kitties on ice. I have been so excited about a big snow season pretty much since August. I check the weather religiously than plan my week, my hikes, my trips off the mountain into “the city” around which days the roads will be less icy. Lets face it, if it’s a snowy day I would rather be at home drinking a latte and reading a book in front of the fire than out on the roads possibly slipping and sliding. This mornings local news is predicting a white Christmas. 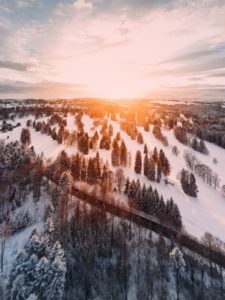 Here in southern California, even being blessed to live among the mountains and peaks of southern California, a white Christmas is not something we see every year, or even every couple of years. As I sat glued to the morning news this morning waiting for the ten second shot of my coworkers hard at work on a crisp and cold and very windy California winter morning at Santa Anita Race Track my heart was full of Christmas joy as I watched the shots of the ponies out for morning work outs at Santa Anita. I know, I know, it’s Christmas in three days and yea, presents, family, friends and definitely lots of delicious food, but what I’m really excited about is opening day at Santa Anita on December 26th!